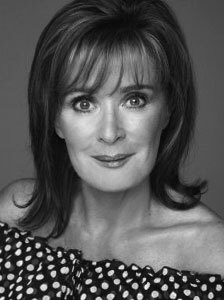 Beverley has been working in theatre and television all her adult life, she is best known for playing Liz McDonald in Britain’s favourite soap, Coronation Street, a role she has played for the past twenty nine years. She made her television debut in the Yorkshire Television soap Emmerdale Farm as Angie Richards in 1983. The following year she played Gail and Brian Tilsley's friend June Dewhurst in Coronation Street. Other roles followed including parts in Hinge & Bracket: Dear Ladies, Hells Bells, Will You Love Me Tomorrow and The Practice, The Peter Principle to name a few. Much as Beverley loves Coronation Street and playing 'Liz' she enjoys stepping away every now and again and creating other iconic characters such as Flo for the BBC in the cult comedy Two Pints of Lager and a Packet of Crisps. She spent thirty three weeks on tour playing Mari in Jim Cartwrights The Rise and Fall of Little Voice She is a best selling author and has released numerous fitness programmes. During this time she also appeared on the panel for ITV's Loose Women In 2003, she returned to Coronation Street providing much comic relief and emotionally charged performances as her character went through some rollercoaster storylines. Beverley is an ambassador for Mind, the mental health charity, a subject very close to her heart. She is a strong voice in the battle to raise awareness and fight the stigma.